Win an Orca Spotting Trip, Free Spins, and Cash Prizes at Bitcasino and mBit! Who says February is a boring month? Starting today, February 1st, two leading cryptocurrency casinos on the web, mBit and Bitcasino, will be running separate Bitcoin promotions to celebrate more than one occasion and reward their loyal customers. 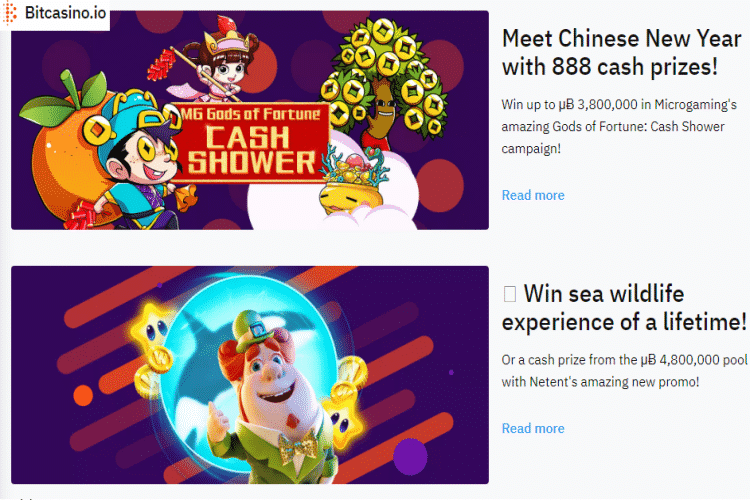 From NetEnt tournaments with adventurous trips to Norway to month-long campaigns that celebrate the Chinese New year and Valentine’s Day with a variety of prizes, there will be something for everyone in these new casino promotions. Read all about them in our full update below. This month, Bitcasino has two separate promotions to offer to you, one launched by NetEnt and the other by the other casino games giant – Microgaming. Dubbed the NetEnt Orca Safari, the first promo will last until February 8th, 2019, during which players at Bitcasino will have a chance to enter a special draw by playing selected NetEnt slots Koi Princess, Finn and the Swirly Spin, Jack Hammer, and Piggy Riches. Places 148-302 – μɃ 3,000 (€10). As for the second promotion, it offers players a chance to win one of 888 cash prizes between February 1st and 19th simply by spending at least μɃ 3,800 (€11) on any Microgaming game, live dealer options excluded. The available prizes range from €11 to €11,392 in BTC equivalent and they will be randomly awarded 111 at a time on Mondays, Wednesdays, and Fridays. If you want to learn more about this offer or the NetEnt competition, just pay a visit to Bitcasino! Another promotion that you can enjoy this month is mBit Casino’s “Zen Passion” promo. Starting February 1st and ending on February 28th, this offer will run for the length of the month, giving away different offers every day. There’s no need to compete against other players or earn tickets to win something but you just have to log into your account any day you want and select the prize offered. The first leg of the promotion will celebrate the Chinese New year and last until Valentine’s Day, after which the prizes will be more based around romantic games and themes. On the menu today is a special slot tournament on the Feng Shui Kitties and Lotus Love slots with a prize pool of 200 mBTC. If you want to see what will be tomorrow’s offer, make sure to go to mBit casino and check out the promotions page!